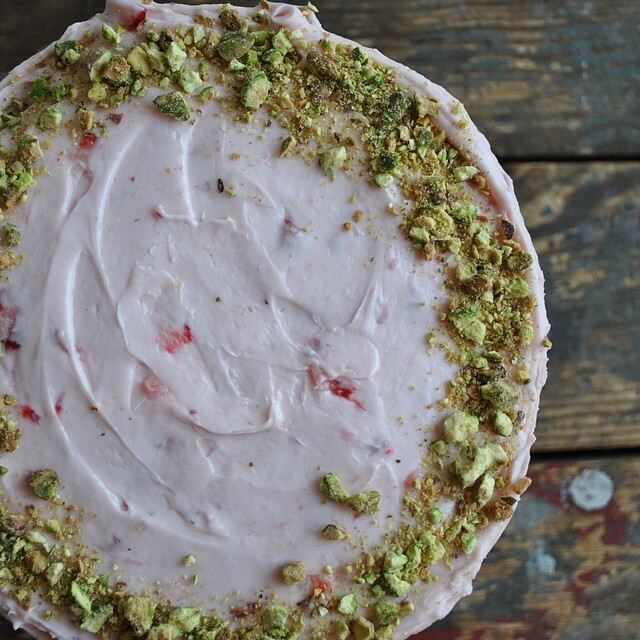 I made myself a yellow butter cake with strawberry cream cheese frosting and a crushed pistachio topping. It's so good. I'll be eating it all day.